WSB 2018 – Donington – 10 Things! With WSB heading to UK shores this weekend at Donington, here’s some interesting facts and figures to whet your appetite before the hammer goes down, direct from the WSB press office – aren’t they nice?! 1. With his double win at Imola, Jonathan Rea (Kawasaki Racing Team WorldSBK) is now the undisputed leader of doubles in history with 17, leaving Carl Fogarty and Troy Bayliss with 16. 2. At 22 years, 4 months and 22 days, Michael Ruben Rinaldi (Aruba.it Racing – Junior Team) became the fifth youngest race leader in the last twenty years at Imola. In this timespan the record belongs to Loris Baz who was 19 years, 6 months and 4 days old when he led – and won – at Silverstone/1, 2012. 3. British riders have won 18 races here and are currently unbeaten in the last eleven: Race 2 in 2012 was won by Rea, then a string of nine for Tom Sykes (Kawasaki Racing Team WorldSBK) and again Rea in Race 2 last year. The last non-British winner here was Marco Melandri (Italy) in Race 1, 2012. 4. In the last three race weekends held here, from 2015-2017, British riders have claimed 17 podiums, leaving only one position for other countries. This was the third spot in 2016’s Race 1, claimed by Davide Giugliano (Italy). 5. This is the best track for Tom Sykes, the only one in which he has won around nine times. At present, only two riders were able to record 10 or more wins at a given track, these are Carl Fogarty and Jonathan Rea at Assen (12 each). 6. Tom Sykes has secured a podium in his last 12 races here. In WorldSBK history only Carl Fogarty managed a longer run of podiums on a given track: 15 at Assen from 1992 Race 2 to 1999 Race 2. 7. The record for podium finishes here, thirteen, is shared by Troy Corser and Tom Sykes. 8. Donington has recently favoured breakaway wins: only two races in the last 18 were won with a margin smaller than one second at the flag (both 2012 ones). 9. 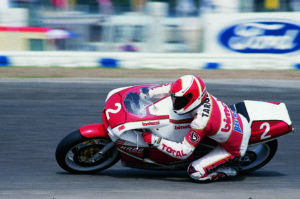 Donington was the stage of the maiden win for four time World Champion Carl Fogarty back in 1992, Race 2. Fogarty was the all-time leader for wins from Hockenheim 1999 to the last round at Imola two weeks ago, when he was equalled by Rea in Race 2. In Donington Rea has thus the chance to become the first rider in WorldSBK history with at least 60 wins under his belt. 10. Donington set the stage for the inaugural Championship round, thirty years ago (1988): Davide Tardozzi (Bimota) and Marco Lucchinelli (Ducati) secured one win each on the 3rd of April. 59th: 2018, Imola /2 (equals all-time record held by 4-times World Champion Carl Fogarty). Previous Post:Destination Ghost Bikes – Worth A Visit! 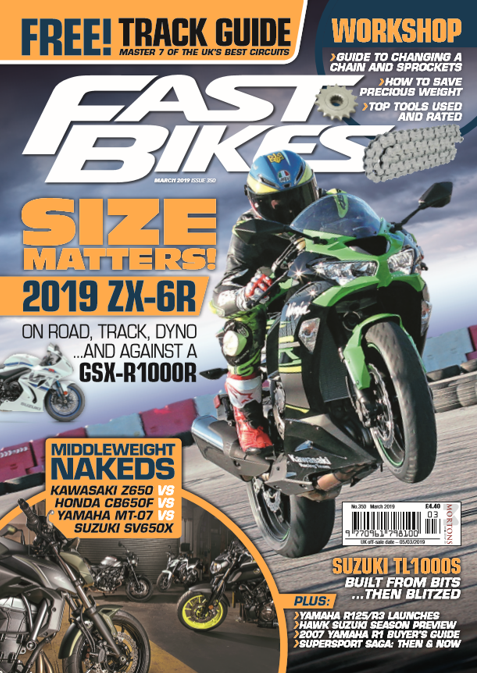 Next Post:Win Prizes at Fast Bikes’ Cadwell Park Track Day – June 10th!